I like Nutella and Justin’s Chocolate Hazelnut Butter as much as the next person. But sometimes it’s not wise for me to have a whole jar of it in my house (for obvious reasons such as lack of self-control). 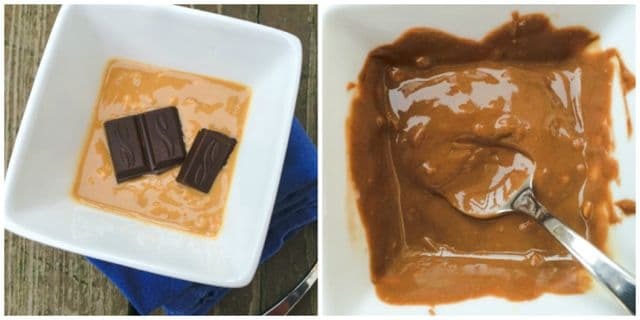 So occasionally I make small batches of a cheaper, quick-and-dirty version using peanut butter: Place a few squares of chocolate (or handful of chips) in some peanut butter, microwave for 30 seconds or until melted, stir, and spread on whatever you want. Use the ratio of chocolate-to-peanut butter that suits your tastes. I love adding the flavor of onion to dishes, but my kids don’t like big chunks of onion in their food. So I use my mini-chopper (this is the one I’ve had for years) to create very finely diced onions–almost creating an onion “paste”. Sometimes I process several onions at once, especially if I have too many and don’t want them to go to waste. Then I transfer the diced onion to freezer bags, and press flat. Then, when I have a recipe that calls for sautéing chopped onion, I just grab a bag, break off a chunk of frozen onion, and throw it into the pan. 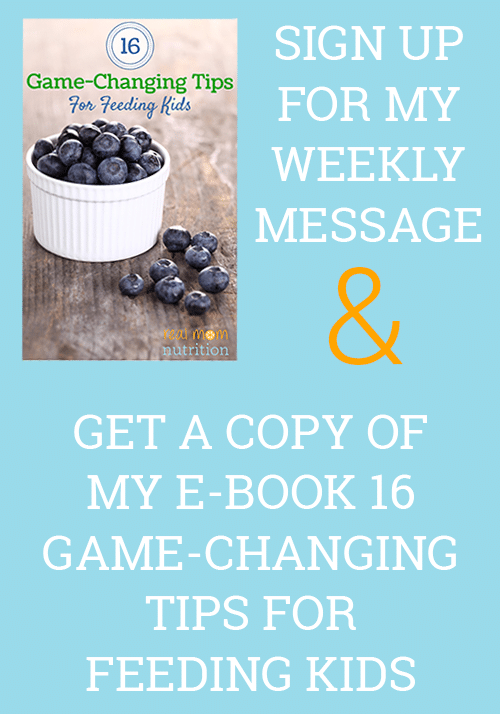 Having trouble getting dough to rise? Place a glass measuring cup of water in your microwave (yes, that’s my microwave, not a wall oven) and heat it on HIGH for several minutes until it boils. 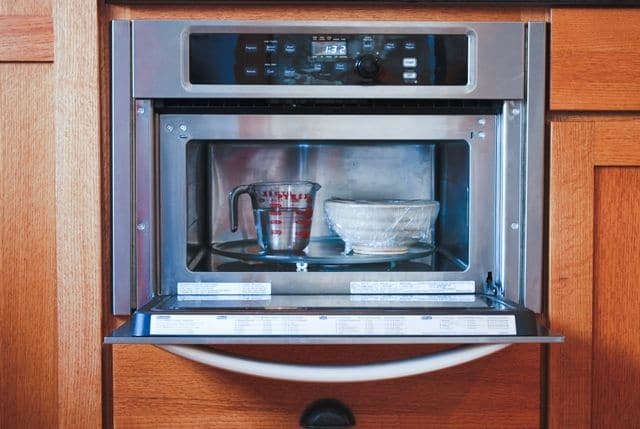 Turn off the microwave, place your covered bowl of dough inside the microwave (keep the hot water in too), and shut the door. 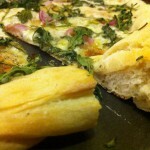 The warm, steamy air will allow your dough to rise faster. Dates are an easy way to sweeten a smoothie, but they can be hard to pulverize in a standard blender. I got this trick from a Real Mom Nutrition reader after posting a recipe for this yummy Peanut Butter Breakfast Shake. 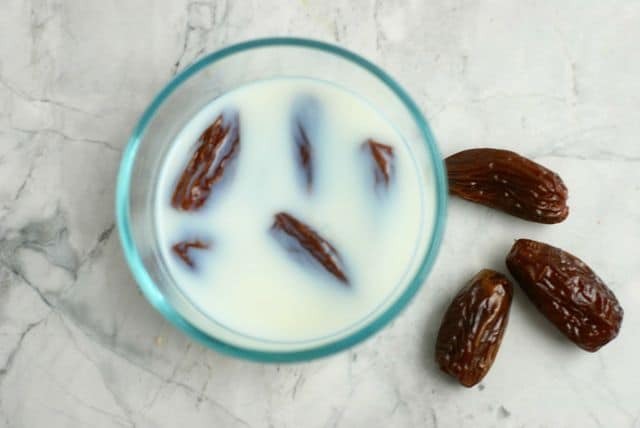 She suggested soaking the dates in a dish of milk kept in the refrigerator, which softens them up so they blend quickly and smoothly. Now I do this too and it works great! 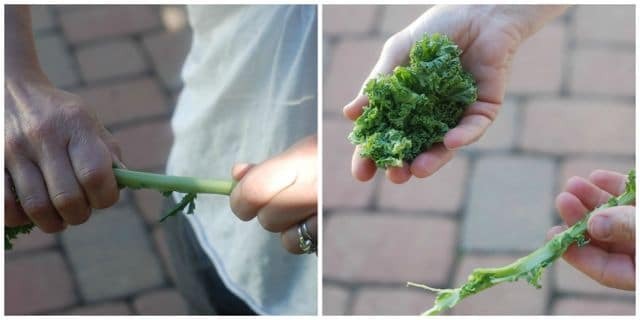 To quickly pull the leaves away from the tough center stem, hold the kale leaf in one hand and slide your other hand along the stem. Then make this easy Sweet Tart Kale Salad. 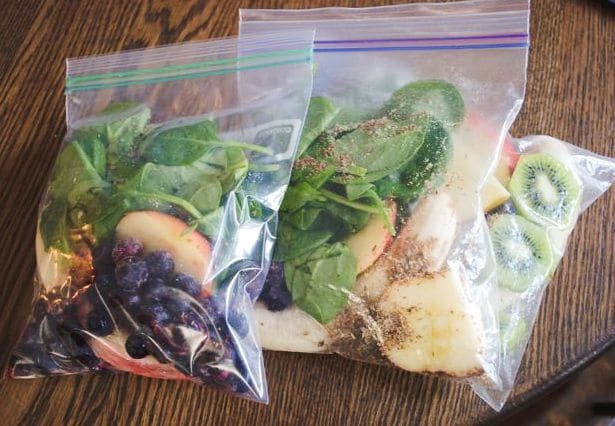 I saw this trick on Pinterest and it’s one of my favorite lunchbox hacks ever. Slice an apple, pour the juice from one lemon and one orange (or OJ if that’s what you have) over the slices and refrigerate. 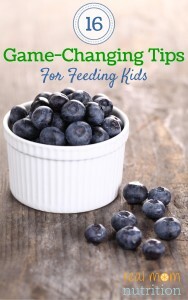 Pull out slices to pack in lunch boxes (they won’t brown) or eat them straight from the juice. Many people already do this with lemon, but the orange adds sweetness and balances out the sour of the lemon. My kids go nuts for these. I’ll never go back to making bacon on the stove after discovering this method. The bacon cooks so evenly, with barely attention from me (and with no grease spatters all over the stovetop). Preheat the oven to 425 degrees. 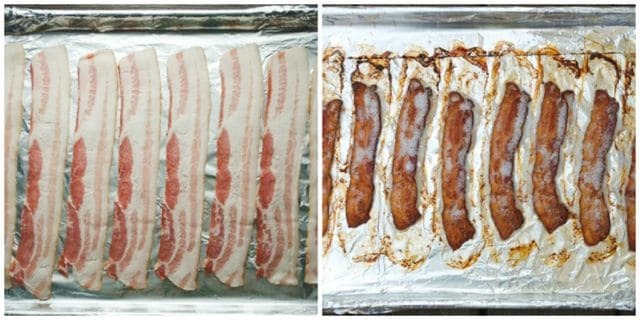 Line a rimmed baking sheet with foil and place bacon slices on foil, bringing the foil edges up and over the edge of the pan. Bake for about 15 minutes or until desired doneness. Some readers also suggested putting a baking rack on the pan and laying the bacon on the rack, so the fat drips down and away from the bacon. To streamline the morning routine, I sometimes package up ready-to-go smoothie packets for the freezer full of fruit, greens, and extras like flaxseed. 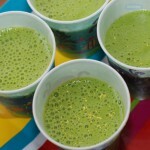 In the morning, just pull out a packet, dump it in the blender, and add cold water or milk. This is an especially handy way to preserve greens that are getting past their prime. Lasagna is one of my favorite cold-weather comfort foods, but I hate the extra time-sucking step of pre-boiling the noodles. 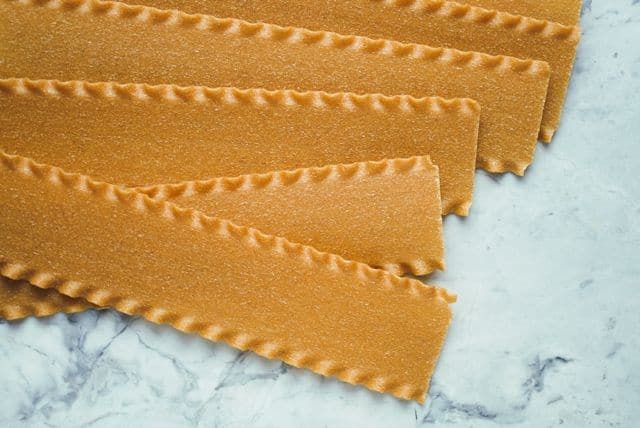 So instead of buying the special no-boil noodles, I use my regular whole wheat lasagna noodles (this is a favorite brand) and simply skip the step of pre-boiling them. The key is using a healthy amount of sauce (in addition to sauce between the layers, be sure the entire surface is covered as well), and bake the lasagna tightly covered with foil. If you don’t have an egg for a recipe (or don’t want to use eggs at all), use flaxseed instead. 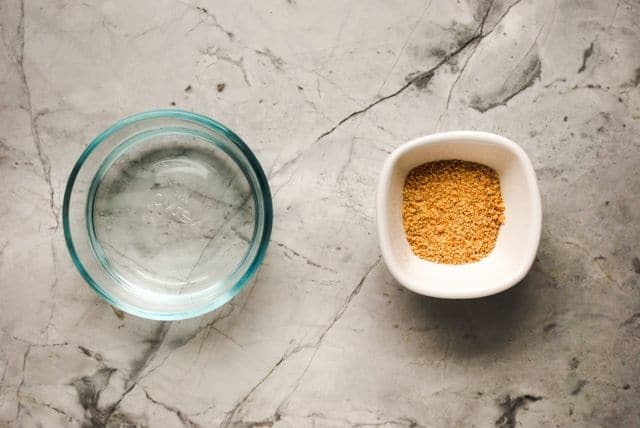 Combine one tablespoon ground flaxseed and three tablespoons water, stir and let sit for five minute. Then add to recipes as usual. I’ve done this for pancakes and cookies. Now I’d love to hear from you. Do you use any of these shortcuts? What are YOUR best kitchen tricks? Disclosure: This post may contain affiliate links. If you purchase a product through this link, your cost will be the same, but I will receive a small commission to help with operating costs of this blog. Thanks for your support! Oven cooked bacon is fab!! I use the rack method as well, but I lay a piece of foil on top of tbacon for 1/2 the baking time to cut down on oven cleaninng intervals. I’ll have to try that trick–thanks! Thank you thank you for #6! I’ve been putting lemon on my kids apple slices but they complain about the tartness. And they have braces and can’t bite into an apple, so I put a lot of sliced apples in to their lunches. Great post. Thanks Lexie! My kids LOVE these apples. The OJ really does change the whole flavor. You can use honey, too. Just mix some honey with water and let the apples swish around. It works just as well. My son was complaining about the lemon tart flavor, too. Thanks Rebekah! Interesting about the honey preventing browning. I’ll have to try that. Use pinapple juice. Tastes much better and does the best job! Bessie–you’re the second person who suggested this, so I’ll definitely have to try it. Thanks for your comment! I worked for Shoney’s when I was a teenager and the apples and grapes that were on the salad bar were soaking in lemonade, straight out of the drink machine! When cooking bacon in the oven, I’ve discovered that putting it in a cold oven prevents it from curling up a bit better. Jenny–Great tip. Definitely going to try that next time. Thank you!! I tried your chocolate peanut butter trick last week – brilliant. I am also going to try your kale de-stemming trick asap. 🙂 Sharing. 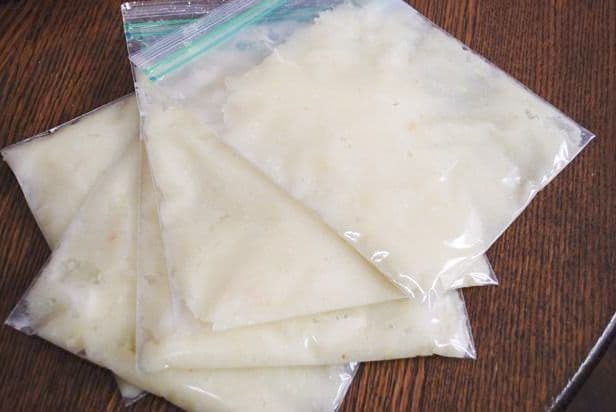 I love the idea of freezing onions and have done so in the past, but even bagging them 4 times, my freezer still smelled of onions. Any suggestions? Susan–hmmm…I haven’t experienced that. Wondering if it depends on the variety of onion (i.e. : some are smellier than others). I use pretty thick freezer bags. I even wash them out and reuse them (told you I was frugal!). I just started doing this one… I have been doing much more home cooking and making big batches of dinners (chilis, soups, pastas, crockpot stuff). We enjoy the leftovers but I’ve noticed that we tend to throw a lot away after a few days because we get sick of them. So, now, on day 2 of a meal, I fill 2 or 3 mason jars (I have a big stash for applesauce) and then pop ’em in the freezer (I have plastic lids that are freezer safe, as well as dissolvable labels so I can identify what it is). I can keep them on the inside of the door so it’s easy to see what I’ve got. For the past month, I have brought a frozen mason jar to work and by lunchtime it’s defrosted enough to microwave and I eat straight from the jar. I now save money that I used to spend on buying lunch and I waste less food! Works a lot better for me than freezing in bags. 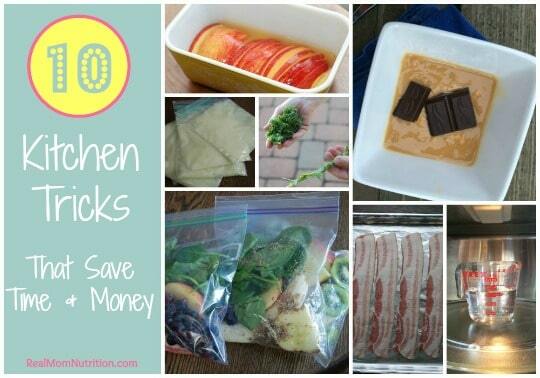 Thanks Maria–I love the double-use of the jars for freezing and then transporting/eating. Nice! I agree that leftovers can get tossed around here because we’re just sick of them. This is a great reminder that even a single portion of leftovers can get a second life and be very much appreciated! Thanks for your comment. To keep onions or anything else from causing freezer/refrigerator odors put an open cup of coffee grounds in the freezer and a couple layers of newsprint in the crisper. It gets rid of the worst odors ever! My kids also disliked the tartness of lemon, so I use pineapple juice instead. 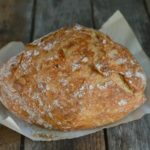 Works brilliantly and doesn’t alter the flavor of the apples much. You can uses blended milk-soaked dates as a 1:1 substitute for sugar in almost any baked good with milk added. The dates add a creaminess to the texture of muffins, cakes and quick breads. Just be sure to get Lulus or other thin-skinned varieties, the California Medjool is too thick-skinned. Silvie–how great to know. Thanks! We sprinkle cinnamon on our bite sized (rather than sliced) apples. Keeps them from turning brown and my kids love the extra flavor. Alanna–we are fans of cinnamon apples around here too! Great tips, thanks for sharing. 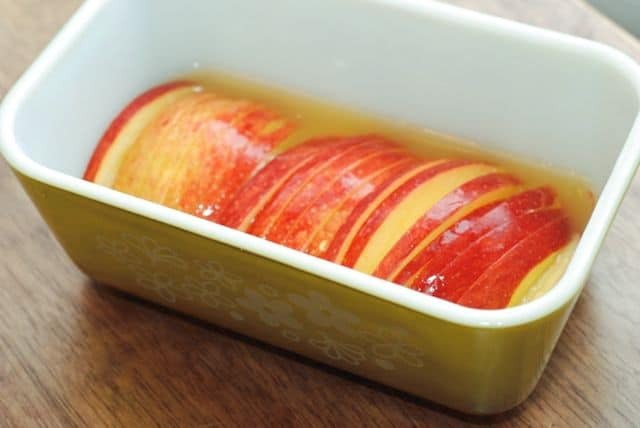 I have found just placing apples in plain water for a few minutes prevents browning. Sometimes I soak the apples in apple juice 🙂 Do you ever let your bread raise in a warm oven? I pre-heat my oven to 350 for two minutes then turn it off and place my bread in the oven to let raise for the second time. I like to marinade and grill a big quantity of boneless chicken breasts. After they cool I slice and freeze in ziploc freezer bags lying flat in a single layer. Once frozen you can shake to separate and store anywhere in your freezer. Later you can take out a handful to microwave and put on a salad or eat with brown rice for a quick meal. Susan–Great tip. That’s a nice thing to have on hand. Thanks for your comment! For cut/sliced apples I just rinse in water then pat dry before packing. They stay pretty good until lunch and taste just like, well, apples 🙂 thx for all the great tips! Arminnie–that’s good to know. Thanks! I have been doing the noodles for years. You can use any lasagna noodles,they all work great. Super helpful, Sally! 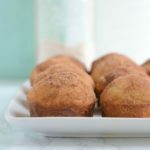 #1 is one of my favorite treats (along with melting dark chocolate bars in milk or coconut milk for hot chocolate…definitely a treat though!). Lisa–I buy the pitted dates (made the mistake of putting dates in my blender that had the pits in them–that made a very LOUD noise!). I just put the pitted dates in whole and the blender pulverizes them.